And had everyone acting crazy. (SPOT.ph) There was a time when everyone knew the fierce dance moves of Beyoncé’s "Single Ladies." We’ve come a long way since then—and lately, there's been no shortage of trendy new dance crazes that take over the Internet. And so, we list down 10 dance moves that made waves and had everyone doing challenges. Some of these might take you back a couple of years, but you've definitely seen them all on your feed at one point or another. Before it was called the "In My Feelings" or Kiki challenge, this dance craze was originally called the Do the Shiggy Challenge. It rose to fame when the comedian Shiggy posted a video of himself doing a little dance he made to Drake’s single, "In My Feelings." Celebrities all over the world—from Will Smith to K-Pop group BTS and even our own local celebs—have joined in the fun and posted their own versions of the dance. Fun fact: Drake says the challenge hyped up his song so much that he invited Shiggy to guest star in the "In My Feelings" music video. It’s hard to meet anyone who hasn’t heard of the Whip and Nae Nae, especially since there was a point when Silento’s "Watch Me (Whip/Nae Nae)" could be heard playing anywhere and everywhere. While the dance moves have been around for some time, the Whip and Nae Nae found their ticket to fame after Silento released the dance-filled single, which also highlights other popular hip-hop dance moves like the Superman (a.k.a. the just-as-unforgettable move from Soulja Boy’s "Crank That"), the stanky leg, and the bop. When it comes to the Dougie, it’s hard to tell which one stuck more: The dance move or the song that turned it into an international dance craze. When Cali Swag District came out with "Teach Me How to Dougie," it had the Internet showing off their best take on the dougie. And even if dancing wasn’t your strong suit, just hearing the song made you want to groove to the beat. Remember PSY and his song, "Gangnam Style?" Whether or not you’re a K-Pop fan, you’re bound to remember how widespread the track was. Besides, this dance craze didn’t only plague everyone with a case of Last Song Syndrome, but it also gave everyone the itch to get up and jump around doing the Gangnam Style. We don’t know about you, but it looked like a pretty good cardio workout. Fortnite is a pretty popular video game these days, but just as infectious as the game itself are the countless funky moves that came along with it. (Fun fact: The moves in the game were originally inspired by other artists and dancers too—how many do you recognize?) And so the Internet exploded with “Fortnite Dances in Real Life” videos, ranging from the very talented takes down to the hilarious covers. “Every day, I’m shuffling”—and really, everyone was. Music duo LMFAO is known for the Party Rock Anthem Shuffle, which looks like a leveled-up version of the classic Running Man dance move. Admit it: It’s pretty hard to not want to get up and dance when you hear this song, and wearing just the right pair of shoes totally made you a master of the Party Rock Anthem Shuffle. Not to be mistaken with the original Running Man-slash-shuffle dance move, the Running Man challenge rose to fame when two kids posted the original challenge of them dancing to Ghost Town DJ’s "My Boo," a track released in 1996. Since then, you’ve probably seen countless variations of the dance, as performed by celebrities, little kids, and even people’s pet dogs. Dabbing is probably the easiest move to do on this list because it involves one move and one move alone. It’s been done as a staple in dance videos, but that doesn’t mean the Dab hasn’t crept up in everyday situations either—it has made its way as a signature pose in group photos. (Admit it, how many times have you and your friends Dabbed in your groufies?) Even big celebrities and sports icons have been seen doing it on TV. Anyone can do the straight-faced, arm-flailing, hip-swinging move that is Flossing. 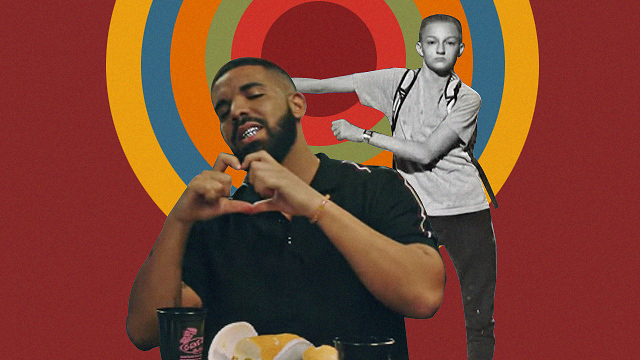 Made famous by an American teenager, immortalized only as "The Backpack Kid," the move is all shades of silly, bizarre, but definitely fun. Backpack Kid even made it to SNL to perform the move live—he was accompanied by Katy Perry, no less. The Harlem Shake was a otally bizarre dance craze—there’s no other way to describe it. People would just be idly standing before doing multiple different (and chaotic) actions when the beat changes. The craze found its roots in 30-second meme videos, headed by college kids and YouTube comedians, but was made more famous by people all over the world doing their own original and creative spin on things. There was a plus side to the Harlem Shake, though: anyone could totally pull it off.